Indianapolis Motor Speedway president Doug Boles, Chevrolet vice president of motorsports Jim Campbell and NASCAR driver Jeff Gordon announced on pit lane at IMS that the 5-time Brickyard 400 winner will pace the field for the 99th Running of the Indianapolis 500. 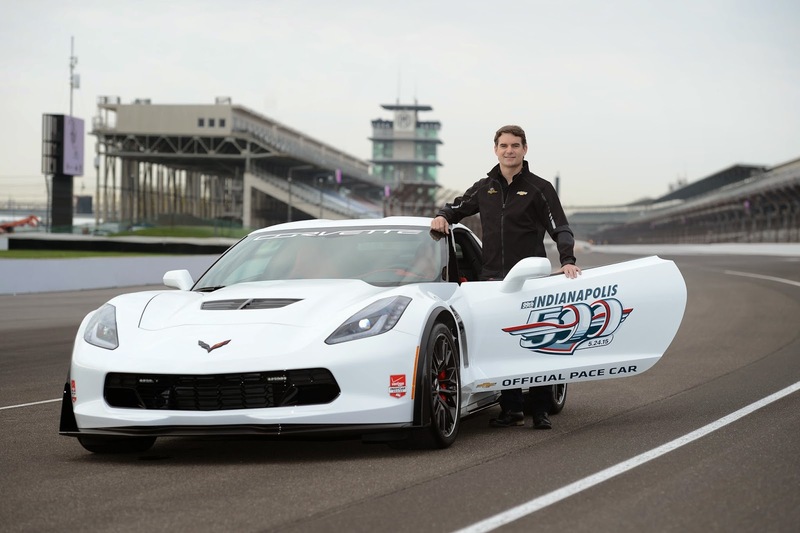 "Indy is hallowed ground for racers like me and I couldn't be more thrilled to drive the Corvette Z06 pace car around the track that helped drive my success over the years," Gordon said. "The Indianapolis 500 is one of the most celebrated races of the year and an event I always dreamed of racing while growing up in California and in nearby Pittsboro. I've won five NASCAR races at IMS and the track will always be a special place for me, so to be able to participate in such a historic day will be something I remember for the rest of my life." Gordon will lead the 33-car field to the green flag behind the wheel of a 650 supercharged horsepower, seven-speed transmission, production spec Chevrolet Corvette Z06. 2015 will mark the 14th consecutive year a Chevrolet vehicle paces the Indianapolis 500. After the green flag, Gordon says he'll watch a few laps with his family before jetting off to Charlotte to compete in NASCAR's Coke 600 that night. Rookie Orientation and practice for next month's Indianapolis 500 begins Sunday.